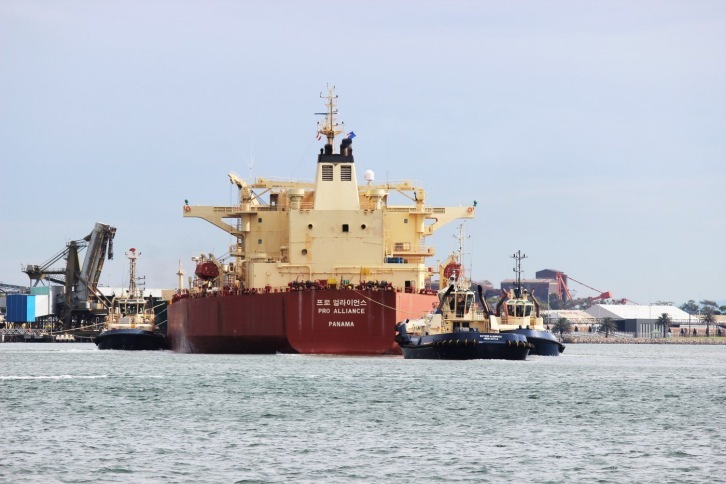 The largest fuel tanker to enter Port of Newcastle in 220 years of commercial operations arrived this morning. The 244-metre Pro Alliance long range 2 (LR2) class tanker berthed at 1100 hrs at Stolthaven's Mayfield 7 dedicated bulk liquids terminal, a purpose-built facility catering to vessels of that size. The milestone follows the arrival of the port's first long range 1 (LR1) tanker in early January. The 244-metre tanker "Pro Alliance". Image by Port of Newcastle Operations Pty Limited.